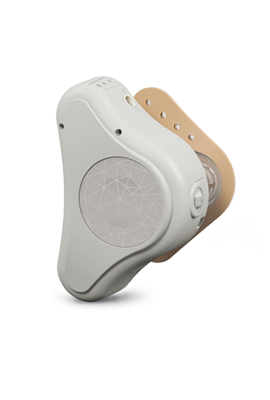 SOUNDBRIDGE or VIBRANT SOUNDBRIDGE is an implantable hearing system that consists of two major components namely an implant and an externally worn audio processor. 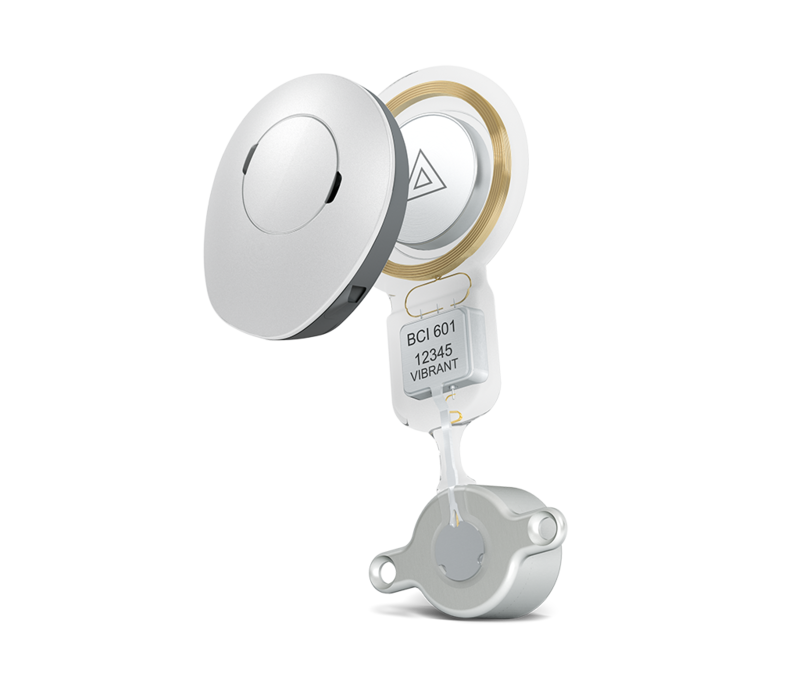 The implantable component, also called the Vibrating Ossicular Prosthesis (VORP) is the part that is surgically implanted and consists of a coil, a magnet that holds the audio processor in position over the implant, a demodulator, a conductor link and the Floating Mass Transducer (FMT). 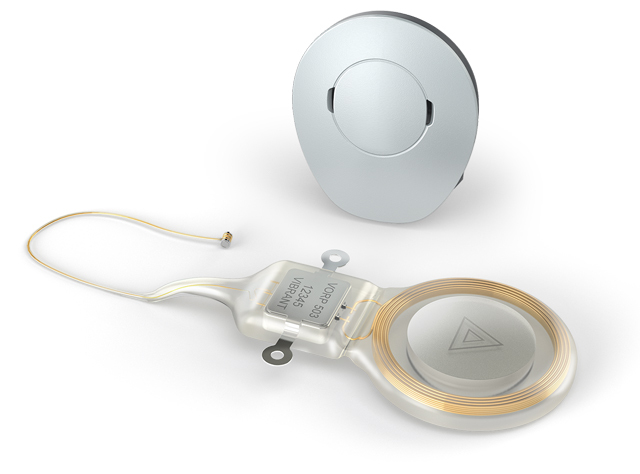 The external audio processor that is worn on the outside of the skin contains a battery, two microphones and a fully digital signal processor. Acoustic signals are picked up by the audio processor and transferred to the VORP via an electromagnetic connection through the intact skin. 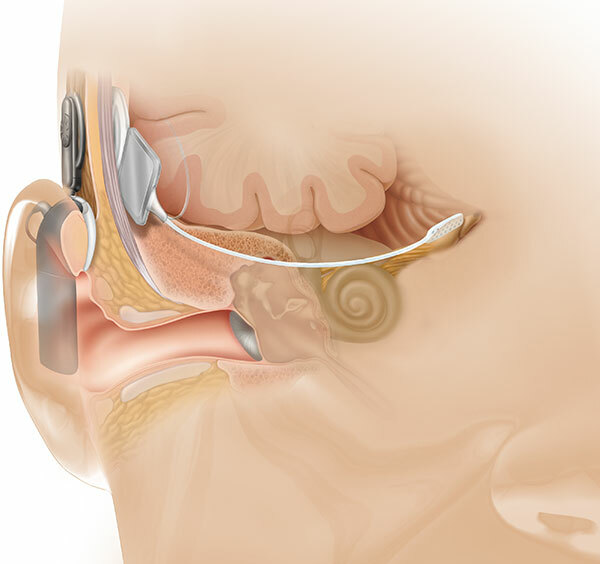 The FMT converts the signals into mechanical vibrations which vibrates the middle ear structures. It is the only middle ear implant in the world that is attached to only a single point of the middle ear, where it functions independent of skull growth. 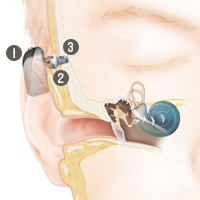 These vibrations in the middle ear, stimulate the cochlea via the oval or round window which will ultimately lead to sound perception in the brain, according to the patient’s needs. 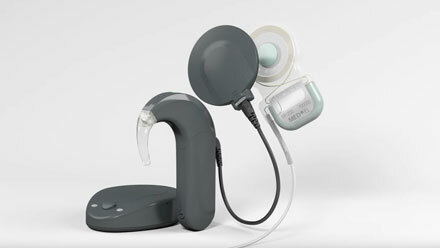 It bypasses disorders of the outer and middle ear. Outstanding sound quality is achieved without any obstruction of the ear canal. 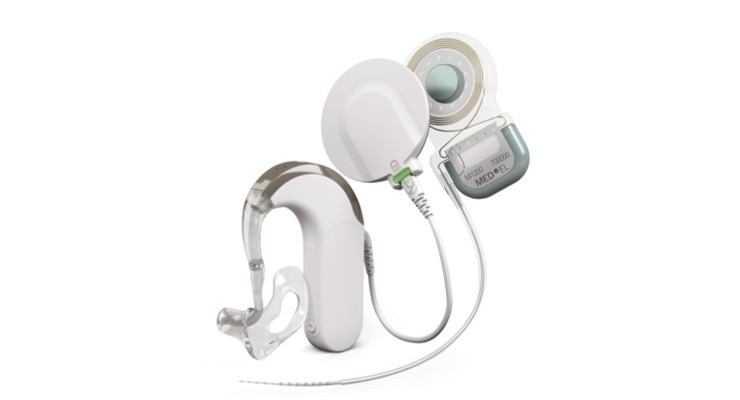 SOUNDBRIDGE is indicated for patients with conductive, sensorineural and mixed hearing losses.